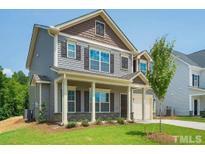 Below you can view all the homes for sale in the Bristol subdivision located in Clayton North Carolina. Listings in Bristol are updated daily from data we receive from the Raleigh multiple listing service. To learn more about any of these homes or to receive custom notifications when a new property is listed for sale in Bristol, give us a call at 919-759-5792. Our model home is a Wilmington and can be toured. MLS#2250263. 1197. A bedroom downstairs and full bath are great for guest or family.This five bedroom, 3 full bath home is waiting for you. SMART HOME TECHNOLOGY! MLS#2250272. 1197. Our homes are energy efficient, and also come standard with SMART Home Technology. MLS#2249140. 1197. This home has a one car garage. SMART HOME TECHNOLOGY is included! MLS#2249150. 1197. Beautiful 4 Bedroom with option of very spacious 4th Bedroom to be a Bonus Room, 2.5 Baths, Granite Counter Tops, Center Kitchen Island, Tile Backsplash, Fireplace in Family Room, Separate Shower and Garden Tub, 2 Car Garage, Private Community Pool. Home Warranty included. MLS#2246678. 1127. 2" blinds throughout home. Community pool and playground. MLS#2246340. 5019. Laundry on the 2nd floor. SMART HOME TECHNOLOGY! MLS#2245476. 1197. 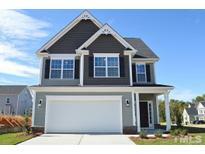 Our model home is a Wilmington and can be toured. MLS#2244574. 1197. A bedroom downstairs and full bath are great for guest or family.This five bedroom, 3 full bath home is waiting for you. SMART HOME TECHNOLOGY! MLS#2244570. 1197. This home has a one car garage. SMART HOME TECHNOLOGY is included! MLS#2244561. 1197. Our model home is a Wilmington and can be toured. MLS#2241483. 1197. A bedroom downstairs and full bath are great for guest or family.This five bedroom, 3 full bath home is waiting for you. SMART HOME TECHNOLOGY! MLS#2241078. 1197. A bedroom downstairs and full bath are great for guest or family.This five bedroom, 3 full bath home is waiting for you. SMART HOME TECHNOLOGY! MLS#2240519. 1197. Natural gas cooking and kitchen island for the chef in the family. MLS#2240068. 1197. Owner's bathroom has a separate garden tub and shower with dual sinks. SMART HOME TECHNOLOGY! MLS#2240080. 1197. Master suite with BEAUTIFUL TILE and oversized tiled shower with bench and walk in closet. MLS#2238940. 1854. Laundry room is located upstairs to make life easier. SMART home technology! ! MLS#2236709. 1197. Owner's bathroom has a separate garden tub and shower with dual sinks. SMART HOME TECHNOLOGY! MLS#2236547. 1197. Home comes with SMART HOME TECHNOLOGY! MLS#2236559. 1197. This home has a one car garage. SMART HOME TECHNOLOGY is included! MLS#2236384. 1197. Motivated sellers! Come see it today! MLS#2234457. 1618. Home comes with SMART HOME TECHNOLOGY! MLS#2234155. 1197. This five bedroom, 3 full bath home is waiting for you. SMART HOME TECHNOLOGY MLS#2233875. 1197. Our homes are energy efficient, and also come standard with SMART Home Technology. MLS#2233877. 1197. Laundry on the 2nd floor. SMART HOME TECHNOLOGY! MLS#2233784. 1197.